Mrs. Norma Jean Oden Boatwright, 82, passed away Thursday, April 14, 2016. She was a resident of Aiken and formerly of Ridge Spring. Mrs. Boatwright, born in Missouri, was the daughter of the late James C. Oden and Florence Casto Oden. She was a graduate of the University of South Carolina at Aiken, and received the Outstanding Student in History Award in 1983. 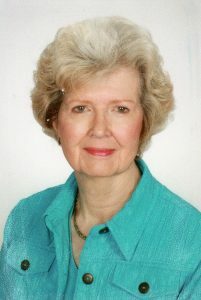 Norma was a member of the American Association of University Women, the Aiken Partnership Board of Directors USC Educational Foundation from 1989 to 1998, was a volunteer for the Aiken Chamber of Commerce, and served previously on various committees for the Town of Ridge Spring, SC while a resident there. She was also a member of the Ridge Spring Medical Search Committee, and the Ridge Spring Industrial Committee. Survivors include her husband, Frank B. Boatwright, Jr.; two sons, Frank B. (Susan) Boatwright, III, Lexington, SC, Lt. Col. Glen H. (Christine) Boatwright, Columbia, SC; a daughter, Susan Boatwright (Herbert) Yarborough, Edgefield, SC; seven grandchildren, Candice Boatwright (Paul) Padgett, Brandon Carl Boatwright, Mary Caroline Yarborough, Anna Smith Yarborough, Carey Elizabeth Boatwright, Christopher Glen Boatwright, William Hampton Boatwright; one great grandchild, Miller Benjamin Padgett. A visitation will be held from 11:00 AM until Noon on Saturday, April 16, 2016 at SHELLHOUSE FUNERAL HOME, INC., 924 HAYNE AVE., AIKEN, SC. Burial will be private. In lieu of flowers, memorials may be made to the USC-Aiken Partnership, 471 University Pkwy, Aiken, SC 29801, or charity of choice.